This is for a 2019 CSA for our chickens. In 2019, you will receive 10 chickens, one time. Anticipated date for pickup is end of August. Birds will average 4 pounds. 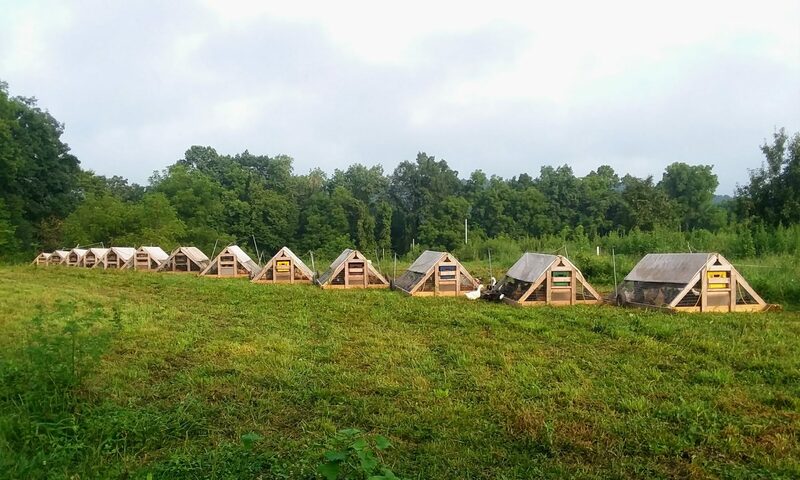 Our chickens are raised in mobile pens out on our fields. The pens are moved to allow the birds to scratch in the soil, eat the grass and bugs and to move off of their waste! This results in the best tasting chicken: clean, with low fat content and clear pan juices and stock. Delicious!